The finest service we provide our cliental is pride in our workmanship. When we work on other people’s bikes we do so as if they were our own. We consider ourselves craftsmen, technicians and professional mechanics. At Brockley Bikes you’ll find that we don’t blind you with science. For the more serious rider you can be confident there is someone who knows the best products and components to use for a given discipline and usage. We think about what you want from your machine and ask you the right sort of questions. That way you end up with the perfect products and services for your individual needs. Before you can really have the ultimate riding experience your machine must run at its optimum. When I started my cycling career in outback Australia at the age of nine, I really didn’t have the best equipment. In fact, far from it! The other thing I didn’t have was a local bike shop to help me fix my bike or indeed make it run at its best. 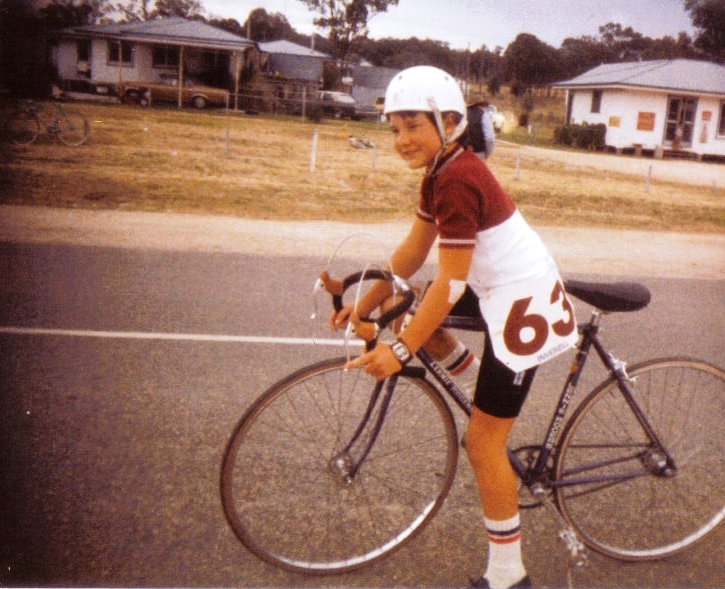 I learnt how to fix bikes the hard way… through trial and error. 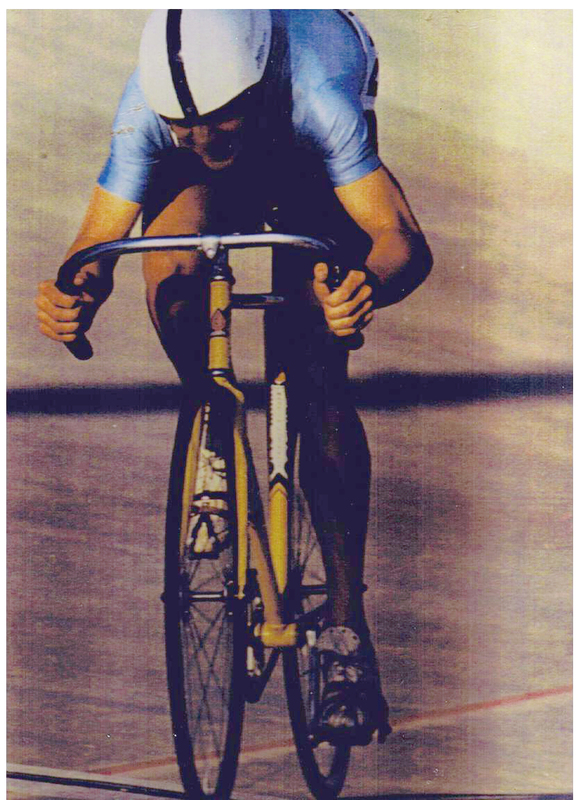 I went on to spend many years racing bikes on the track, road and off road with the ultimate point being representing Australia. I was acquiring skills, knowledge and experience that would be the foundation of my career. 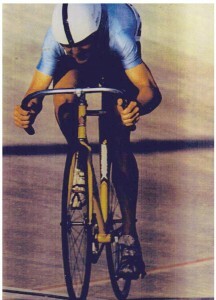 I have raced at the highest level, ran workshops for prestigious manufacturers, commuted distances you wouldn’t believe. Along the way I have learnt how a bike truly operates in relation to itself and the rider. I have a passion that reflects in my business. It’s the little things that you do to a bike that makes it feel and perform much better. It doesn’t matter if it’s a child’s bike or a £10,000 road bike. All of the fundamentals are the same. Often these things only have to be done once. I know this and have always treated every bike I work on like I am going to ride it. I enjoy doing it and it keeps my customers coming back. Having been in the leisure industry for over 15 years, it is extremely important to have confidence and trust in a company who can meet the demands of the business. Having used the services of several suppliers in the past I can truly say that Brockley Bikes are “Simply The Best”. After being bitten by the cycling bug 5 years ago, I spent 2 years trying to find good people to work on my bikes… to no avail… then I found the brockley bikes, not only did they offer me great service at a very reasonable price, but were also happy to take time to impart their wealth of cycle knowledge to me when asked, usually over a free coffee! Since then they’ve put together numerous bikes for me, always quickly and always professionally. I can’t recommend them highly enough. Thanks again for all of your help on this… I’m impressed with the overall professionalism and dedication of Brockley Bikes, not to mention the technical ability! I’ll definitely be using you guys again! Just a quick email to say thanks for doing such a great job on servicing my bike. It was a real pleasure commuting into work this morning (and took about half the time!). I just wanted to say I was very happy with the work you did to my bike, it’s a dream to cycle again now! Thanks so much. We are a small dynamic company with a diverse customer base requiring an individual who will you keep our customers coming back and encourage new people who come across our company by becoming an important member of our team. Currently we are looking for an individual to become a competent bicycle mechanic to work within a fast growing workshop and retail environment. The successful applicant will have read our website and this advert thoroughly. You will have decided before applying that by becoming a member of our team you have or are able to have the same ideals, beliefs and understanding of how a bicycle works. Above all you must have a passion to make bicycles work the best they possibly can and understand it’s the mechanic that makes the bike. You will be applying for more than a job. It is an opportunity for an individual to learn the fundamentals of a bicycle and it’s relation to itself and the rider. Ideally, we are looking for someone who already has a passion for bikes created from a cycling back ground. You will have a degree of experience in bicycle mechanics (whether that be formal or informal) along with the ability and willingness to learn all aspects of bicycle maintenance. We are not looking for qualifications, but they will be considered. We are looking for someone with the confidence and conscientiousness to go forth and develop to be the best they can and constantly strive to outperform them self. If you have these ideals and qualities we are flexible on the applicant and the initial position whether it be part time or full time. Ultimately the successful applicant will be trained by us to be able and expected to run our London workshop on their own and reporting to a senior member of staff daily. The ideal candidate will have excellent knowledge of bicycles & cycle accessories, and will have the ability to perform all levels of bicycle servicing. However we will supply full training to the right applicant to allow development to the required level. - To the successful applicant full training of all procedures whilst on the job with the view to increasing the mechanic’s ability to work under their own steam and maintaining Brockley Bikes high standard of quality servicing, repairs and customer relations. - A work environment where you can be taken seriously and be yourself. - Different types of mechanical work. This will be both in our workshop and on site. - A salary that is negotiable. This will be dependent on your current skill level. It will increase with responsibility and trust. - An output commission will be entertained for the right applicant immediately or in the future. - An above average set of bicycle mechanic skills. - A proficient set of interpersonal skills. - Computer and related technology skills. - Good work ethic to work alone or in a team. - Understand how a busy workshop can run efficiently. - Attention to detail and the importance of doing things in a procedure. - Get the job done right the first time. - Be passionate for the highest quality in all areas. - Be proactive and to use initiative to solve problems. - Learn from mistakes and advice given by team mates. - Act intelligently on feedback given. - Be flexible to work in the workshop and out on site. - Have the primary responsibility to keep the workshop running smoothly at all times. - Have an awareness of the workshop and its role servicing the business. - Maintain high standards of repair & servicing and help maintain the tidiness of the workshop throughout the working day. - Have and take advantage of excellent mechanical skills. - Increase related knowledge to use practically. - Make use of our in house training to improve yourself and our business. - Assess work required and confidently explain to customers. - Effectively use our EPOS system managing the process of booking in work to invoicing of customer. - Understand the importance of retail and corporate business. - Have the ability to run the workshop on your own. - Be responsible and trustworthy. - Be responsible for completing service, repair & bike builds to a high standard. - Be responsible for the quality control of all bikes you work on and it is your duty to ensure that they have been correctly assembled & set-up. - Ensure all new bikes & repairs are completed to the correct specification and conform to British Standards 6102 pt2. - Help to maintain & replenish your consumable stock within the workshop. - Update & maintain records and track any ordered parts and warranties that you have dealt with. - Organise your work for the day and complete within timescale. - Do minor repairs whilst customers wait and still complete days allocated work. - Achieve good customer relations by having a helpful and friendly attitude. - If required deal with customer complaints in a professional manner and where the issue can be dealt with quickly and easily, to do so. - Have a clear, polite and helpful phone manner when dealing with customers. - Be confident to book repairs and servicing in providing accurate quotes. - Confidently recommend the best products and components to use for a given discipline and usage. - Liaise with customers with an update if more work or parts are required, delays and cost involved. - Train new members of staff to our standard and ethos. - Manage other mechanics to keep workshop running efficiently. - At the start the tasks will involve day to day mechanics (both in our workshop and out on site) and sales, eventually gaining the responsibility and capability to assemble complete bikes from a frame including hand building the wheels. - Due to the occasional work on site a driving licence will be an advantage but not necessary. - Initially 3 to 5 day week depending on agreed position with successful applicant. - Saturday work will be expected. We have a different way of doing things than other bike shops. Initially we are a company who has built a reputation in corporate servicing and now also has a busy workshop in South London. The workshop deals with high quality servicing and repairs and ever increasing complete bike builds. Regardless of your experience there will be a level of re-training to do things the way we want them done. If you are the right person we can train you to the level we require. This position is available to anyone who obviously meets the minimum requirements. A certain confidence is demanded but arrogance will not be entertained. I know this advert is very long and detailed. It is so we can explain exactly what we want and you can decide if we are the type of place you would like to work. We don’t want to waste your time or ours. Please send an introductory email or letter and your CV to ashley@brockleybikes.com. If we want to see you for an interview we will contact you. We will only respond to individuals we feel fit the bill. We will have an informal interview and at that time both parties will agree whether the position and applicant are right for each other. This may contain a verbal and/or written assessment of your current understanding of a bicycle and the running of a workshop. You will be expected to already have a good understanding of Brockley Bikes and what we do before coming to this interview. We will then expect an initial try out (from 1 to 4 hours unpaid) and inspection of your own bike will be part of the application process. 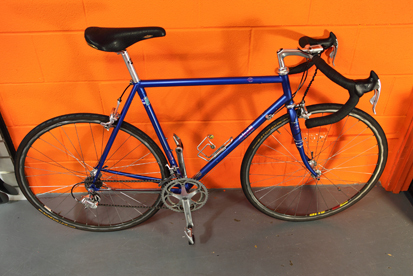 We will assess your bike giving feedback and the opportunity to correct any work required. This is an opportunity to put your best foot forward. Further work on other bikes will be required for assessment. If after this you are successful there will be an initial trial period of 3 months. All payments to be made 14 days from invoice. Any payments not made within 30 days will automatically incur a 5% penalty charge (minimum charge of £25) for all labour and parts supplied unless otherwise previously agreed in writing by a Director of Brockley Bikes Limited. 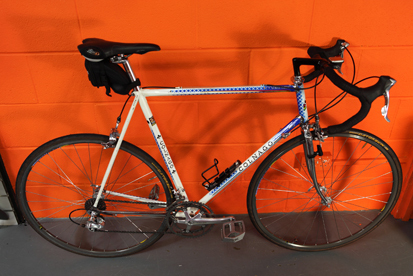 All goods supplied remain the property of Brockley Bikes Limited until payment is received.